Well, boredom is a pretty nasty beast, especially when it stems from not finding the toys you want at stores. I found myself caught in it’s maw recently, and I ended up walking away from the store with a couple of figures of characters I didn’t even like. 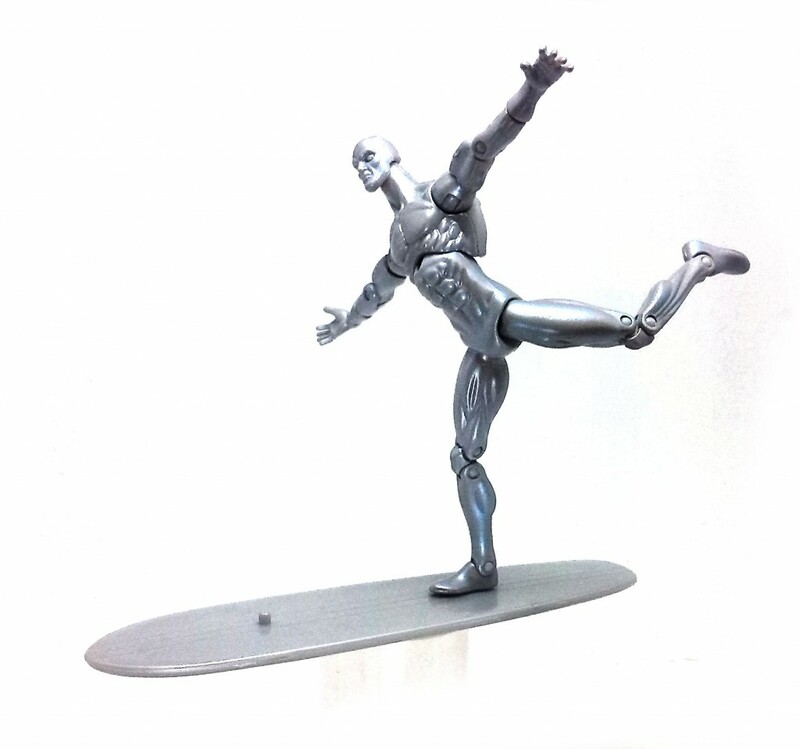 One such acquisition is the subject of today’s review, the galaxy–roaming Silver Surfer. If you recall, Silver Surfer was one of the characters released right at the start of the Marvel Universe line, back in 2009, and the same figure was also released the following year alongside his master Galactus. 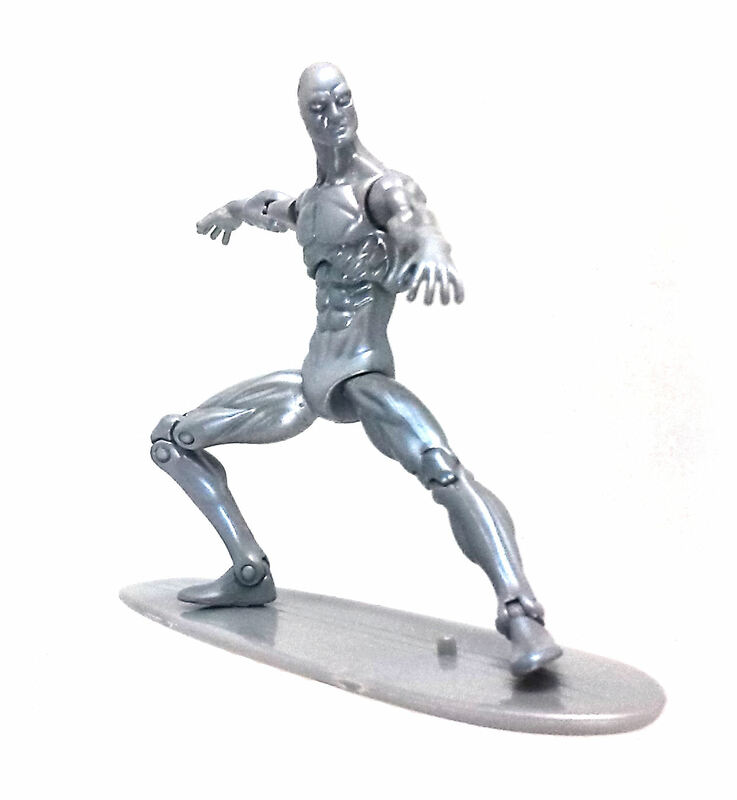 This particular release comes from Marvel Universe Series 5, although it is little more than a repaint of the original mold, making Silver Surfer a fairly primitive action figure by today’s standards. 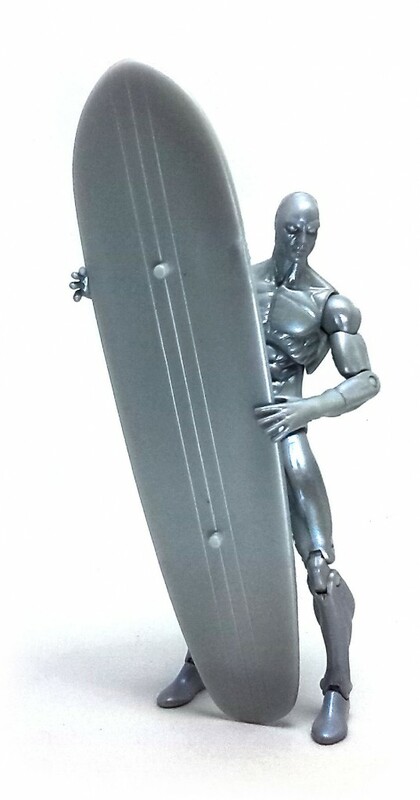 The Surfer used the slim, athletic mold, with only the head being uniquely sculpted. The musculature is very detailed and each indentation looks sharply defined. The head sculpt feels somewhat unfinished, as it lacks ears and the face is void of any expression, despite the Surfer’s strong features. 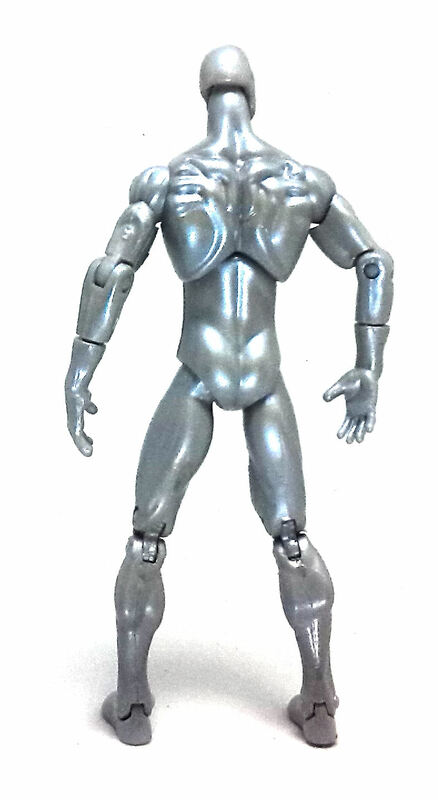 The Silver Surfer lacks injection molded ankle joints, an improvement that was introduced relatively soon in the line and can be seen in newer figures like Cloak or Havok. As it is, articulation on the surfer is barely OK, although the joints do feel firm. 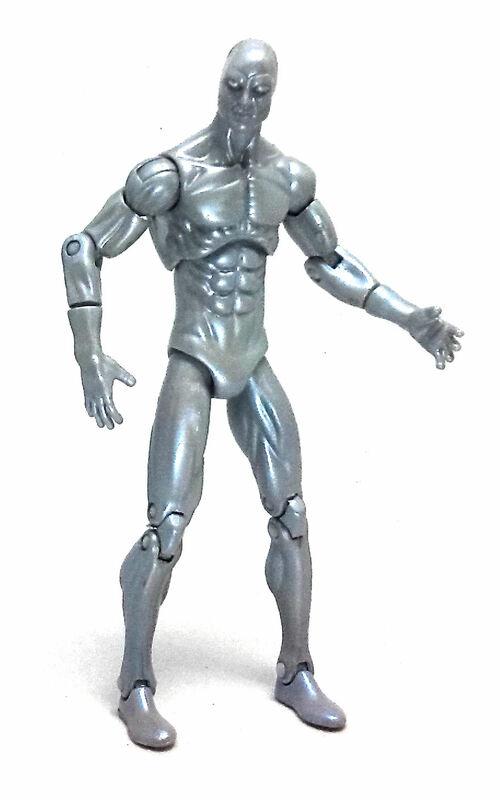 About the only improvement I find in this release of the Silver Surfer is the paintjob. Pervious figures were painted straight up silver, but his time the paint shows a pearl-like shine that really adds a lot to the surfer’s appearance, even though it doesn’t show really well in pictures. Both of the Surfer’s hands are sculpted with open palms, making them useless to hold accessories, but nevertheless, an accessory was included with this figure. It is, of course, his surfboard. There is nothing really remarkable about the board, either in shape or color. It does have a three lines carved on top, running lengthwise, as well couple of round foot pegs. The Surfer can’t really use both pegs at the same time without risking loosening the ankle joints, but he does stand firmly using either one of them. In the end, I must admit that I am fairly unimpressed by this figure. Hasbro could have retooled this figure ever so slightly to make it better and even though I concede the new coloring is neat, that alone should not have warranted a purchase in the first place.